What’s on @ SJI this weekend! Presented by Peter North and folkwaysAlive! The Winter Roots Roundup Festival is an annual festival that focuses on knitting together the best of folk, roots and blues music through film, workshops and live performances. 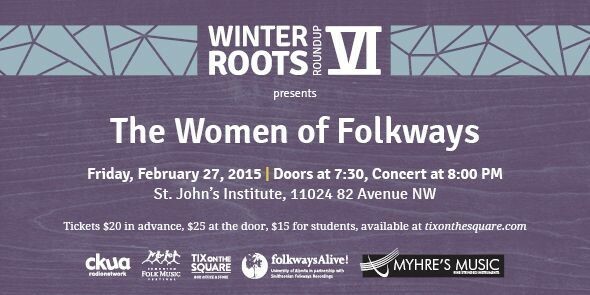 Session: Women of Folkways, St. John’s Institute, 11024-82 Avenue from 8pm to 11pm. Tickets will be $25 at the door. Doors at 7:30pm, concert at 8pm. Presented by Canadian Authors Association. 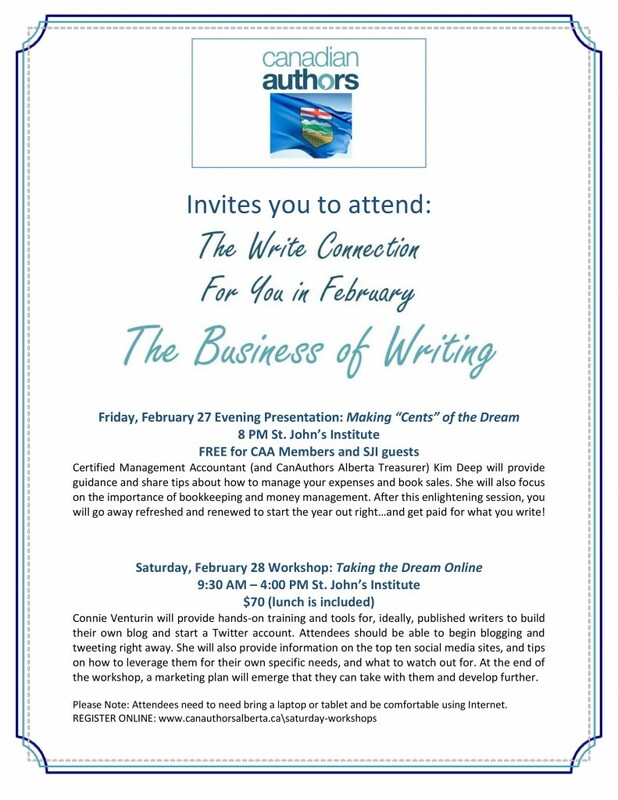 The Business of Writing: Making “Cents” of the Dream (learn how to manage expenses as a writer and author). St. John’s Institute. 8pm. The Business of Writing: Taking the Dream Online (learn how to build your own blog and start a twitter account). St. John’s Institute. 9:30am-4pm, $70 (lunch included).